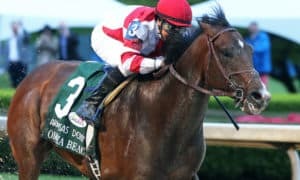 HOT SPRINGS, AR – Fox Hill Farms’ Omaha Beach proved to be a game fighter indeed when he outdueled the juvenile champion Game Winner to take Saturday’s second of two runnings of the Rebel Stakes (G2) at Oaklawn Park. 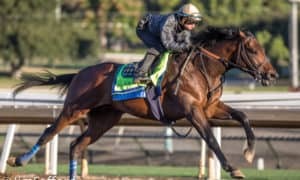 Breaking from post 6 under Mike Smith at 4/1 odds, Omaha Beach raced just off of the early leader Market King through opening fractions of :23.54 and :47.29. Heading into the far turn, Omaha Beach took the lead while Smith remained motionless aboard him. 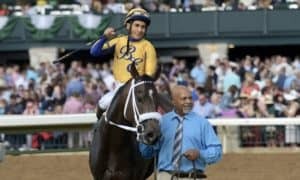 The 2/5 favorite, Game Winner was revving up behind him for the stretch run home, but jockey Joel Rosario appeared to be all-out trying to get him moving. 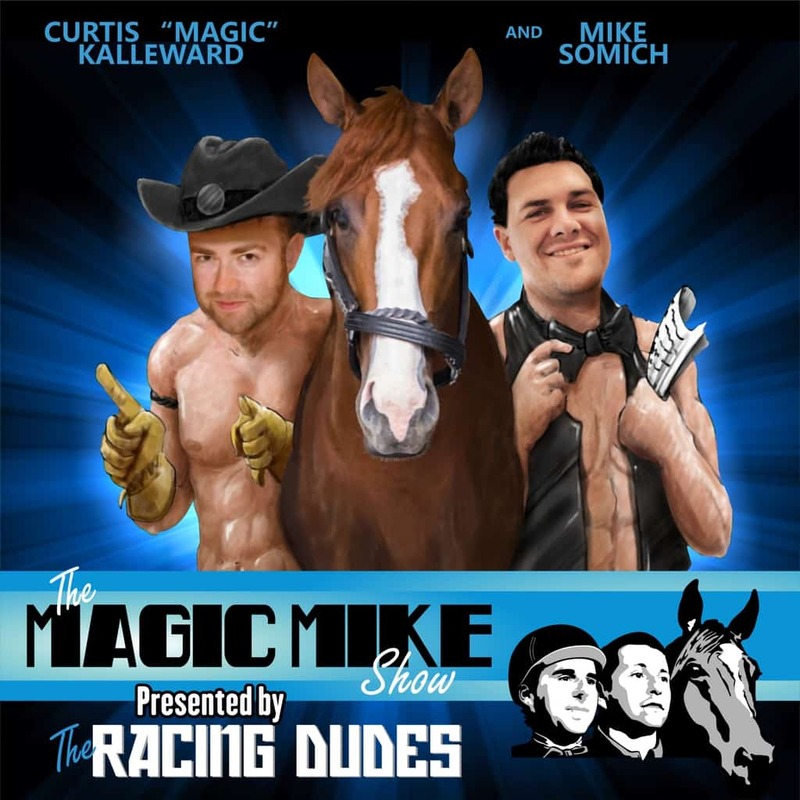 At the 1/8 pole, Game Winner began creeping up alongside Omaha Beach, and the race was on. The front-runners quickly left the rest of the field in the dust. 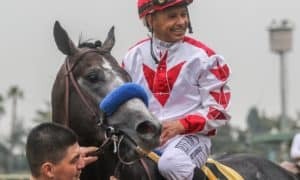 At the 1/16 pole, they raced step for step, and for a moment, it seemed as if the undefeated Game Winner would keep his streak alive in his 2019 debut. Omaha Beach, though, had other plans, digging in gamely and fighting off the challenge. 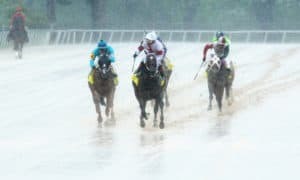 The two colts hit the wire with just a nose separating them, and after a lengthy photo finish review, the stewards determined that Omaha Beach had won. The Richard Mandella trainee’s win came in a final time of 1:42.42 for the 1 1/16-mile event over the fast main track. 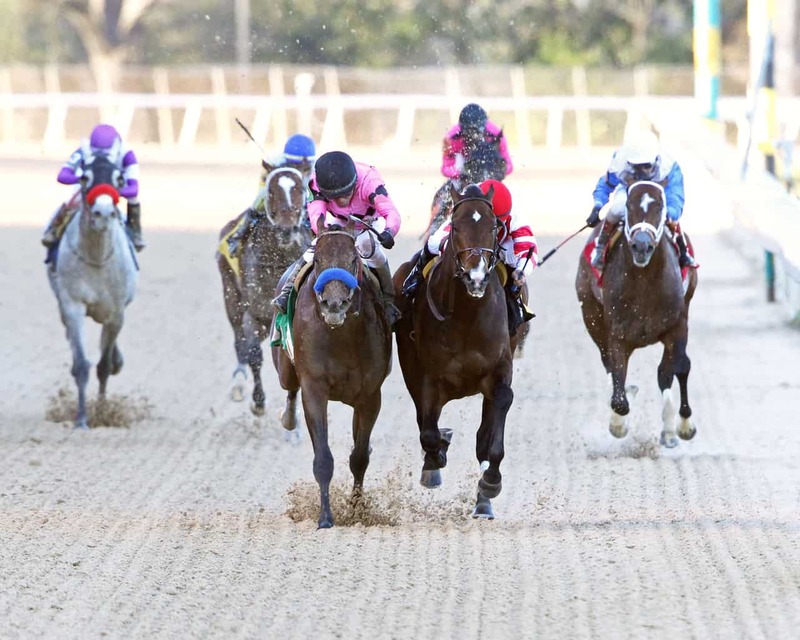 Longshot Market King managed to stave off the rest of the field, taking third over Gunmetal Gray by 1 length. Jersey Agenda nipped Captain Von Trapp for fifth, while behind them came Laughing Fox, Parsimony, Kaziranga, and Our Braintrust to complete the order of finish. 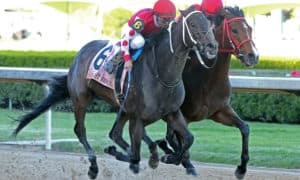 The Rebel is part of the Road to the 2019 Kentucky Derby prep race season. 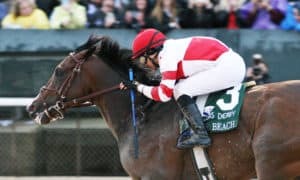 Omaha Beach earned 38 points for the win, with Game Winner receiving 15 for second, Market King 8 for third, and Gunmetal Gray 4 for fourth. 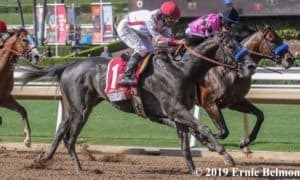 Omaha Beach’s win was his second straight following his maiden-breaking 9-length romp in the Santa Anita Park slop on February 2 and improved his record to 6-2-3-1. 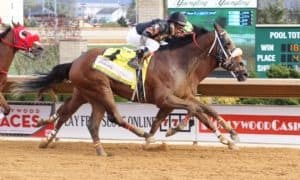 Along with War of Will, he became the second son of turf superstar War Front to earn enough points to make this year’s Kentucky Derby starting gate. Omaha Beach returned $10.80 to win, $3.80 to place, and $3.20 to show. 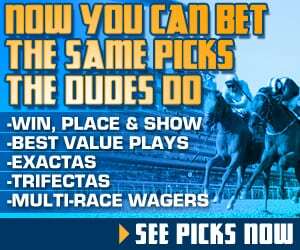 Game Winner brought back $2.40 to place and $2.40 to show, while Market King paid $8.40 to show.